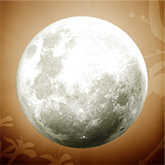 This Full Moon Will Attract Beauty and Wealth! Create space for prosperity with the Taurus Full Moon. The Full Moon in Taurus is heightening everyone's desire for beautiful surroundings. Take a look around! Everything in your immediate environment (items both large and small) affects your mood, your comfort and even your outlook on the future. So make sure everything is placed where it can make the biggest impact! Right now you can use Feng Shui, the ancient art of placing objects in your physical surroundings, to attract positive energy, health, wealth, love and happiness. The results are immediate! Don't miss the power of this Full Moon to shift the energy in your life today! Your free sample Feng Shui Astrology report is your personalized path to prosperity. Based on your unique birth chart, your “Ba Gua” maps out which colors, symbols and furnishings to use in your environment. This customized advice makes it simple and easy to attract everything you desire! Even small changes can have big results. Get your free sample Feng Shui Astrology report while there's a beautiful Full Moon in Taurus and start enriching your life! You can even get the full 40-page report at no cost with TrialPay.